When a bunch of ruffians robs a bank in the sleepy town of Alpine, it’s only natural for the locals to be alarmed. But this gang and its leader, Cestus Calloway, are not common criminals. In fact, Cestus, known as the Robin Hood of the Rockies, distributes his loot to those less fortunate and rains stolen money down on the townsfolk. As if that isn’t too good to be true, this gang holds to one important rule: Steal but don’t kill…. All Alpine’s marshal, Boyd Cooper, wants is peace and quiet, not to get a posse together to track outlaws. However, when an altercation leads to the exchange of gunfire and the spilling of outlaw blood, he doesn’t have much of a choice. The outlaws fear their reputation might be at stake, so they declare revenge on the tin stars of Alpine. They’re mad enough to break their own no-kill rule, and Boyd Cooper knows things could end as bloody as they started…. David Robbins has created a bunch of memorable characters on both sides of the law in this extremely fast moving tale. In fact I hoped some of the lawless would escape death so they could return in another book, but in a David Robbins story it is not predictable as to who will be living by the end on either side. With the killing of some of their own, Calloway has difficulty keeping control of his vengeance hungry gang members, and David Robbins creates some fine tension as they argue about the best way to take out the posse. 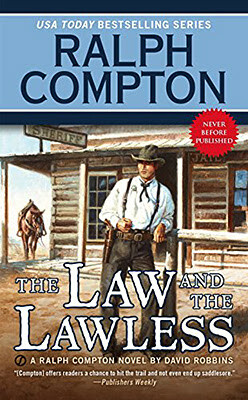 And it’s not only Cestus who has problems keeping a tight rein on his band of outlaws, because Boyd Cooper has to struggle to keep his posse together, particularly when a turn of events makes it evident that Cooper no longer wants to bring the outlaws in for trial but wants to see them all dead. The story is filled with twists and turns and lots of gripping action, and it isn’t long before the posse are played for fools and find themselves, unknowingly, being lead into a death-trap from which there can be no escape. So who is victorious in the end? Of course I can’t reveal that here but I would suggest anyone who decides to read this book is going to enjoy finding out. Clint’s only wish is to transform the Delta Ranch where he lives into a home, so that he can settle down peacefully with his wife-to-be, Belle Camden. All is going smoothly until Clint witnesses a brutal murder. The killer tries to lie his way out of it, but Clint is not the lying type. When threats don’t work, the killer takes Belle hostage. All Clint must do is admit he’s made a mistake – forget what he’s seen, move on – and his fiancée will be returned to him unharmed. In a situation that goes against Clint’s every moral code, in the end the choice can only be decided by gunsmoke – and blood. 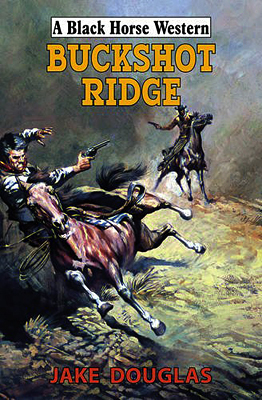 Jake Douglas is one of a handful of pseudonyms used by Keith Hetherington for his Black Horse Westerns and this one confirms why he’s had such a long career writing for this line and other publishers, having around a thousand westerns published to date. You can read an interview I did with him here. As for this book, it is a very fast moving read full of action – fistfights, gunfights, and duels of words. In fact the tense exchanges of dialogue provide most of the ‘how-can-they-get-out-of-that situations, as any plan Clint and lawman Si McLaren have seems to be bettered by the man they are attempting to bring to justice at every turn. The taking of Belle hostage, a dangerous situation in itself is made even more deadly when there’s a disagreement between the killer, Forbes, and his right-hand man Hank, a man who wants nothing more than to kill both Clint and Belle, and it soon looks like he’s going to achieve his aim. The story ends with a breath-taking struggle that brings everything to a neat and satisfying conclusion that left me eager to pick up another Keith Hetherington book straight-away. Mention must also be made of the excellent cover Hale have selected to front this book.